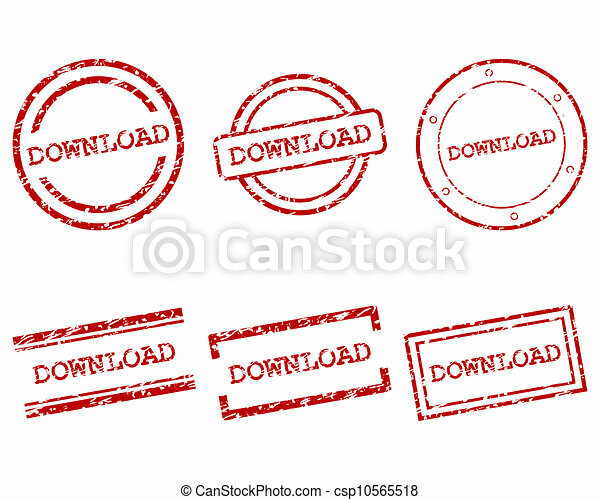 DOWNLOAD seal stamps with corroded style. 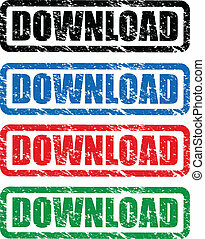 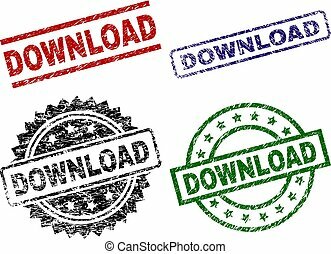 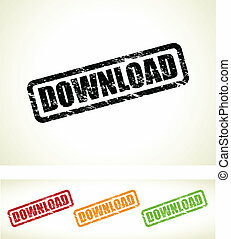 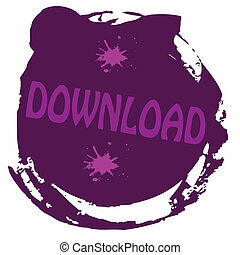 Black, green,red,blue vector rubber prints of DOWNLOAD label with dirty style. 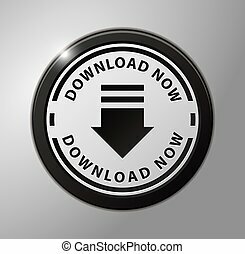 Rubber seals with circle, rectangle, medallion shapes.